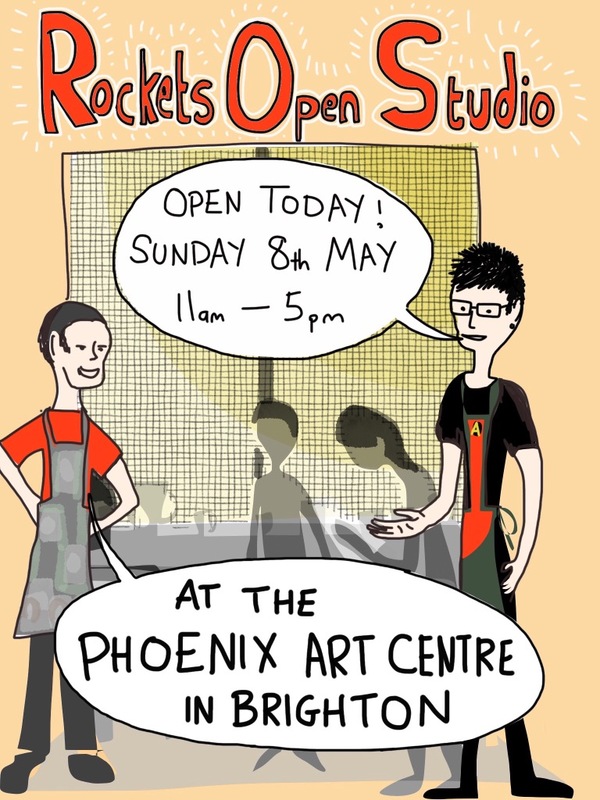 Rocket Artists’ Open Studio today! Posted byeturnerlee	 May 8, 2016 Leave a comment on Rocket Artists’ Open Studio today! If you’re out and about in Brighton today come and see us! Rocket Artists open studio is part of the Phoenix Art Centre open studio weekend.